The EmPOWER Clean Energy Communities Low-to-Moderate Income Grant Program has received a national energy award and will be featured at the upcoming 2019 Home Performance Coalition Northwest Regional Conference. 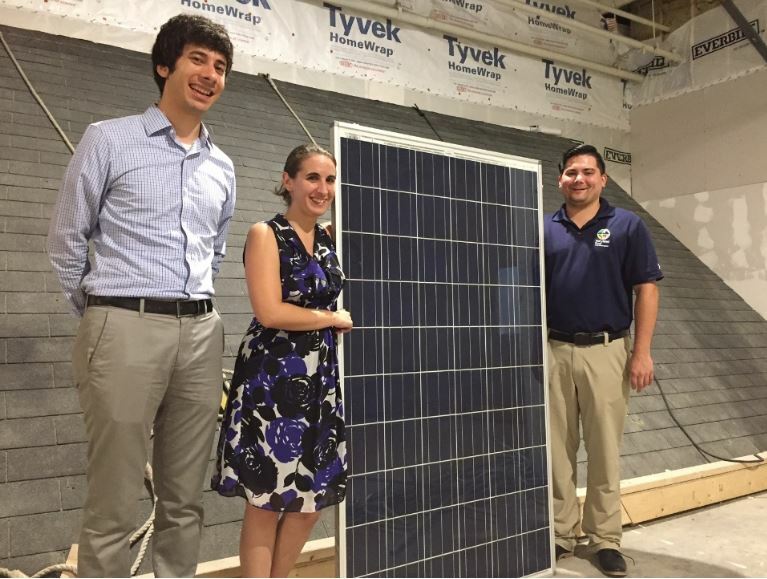 Clean Energy Communities Low-to-Moderate-Income program, also known as the LMI program, provides nonprofits and local governments with funding for whole-building, new construction, and individual measure energy efficiency upgrades that benefit low-to-moderate income Marylanders. 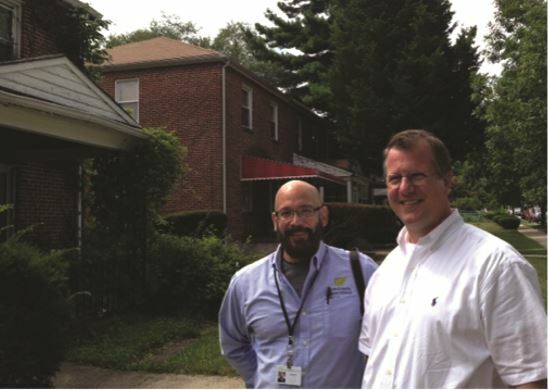 Hector Moreno, Environmental Health and Safety Program Manager with the Green & Healthy Homes Initiative (GHHI), and MEA PM Dean Fisher visit a home to verify completed weatherization work. To read more about this MEA LMI grant click here. The American Council for an Energy-Efficient Economy (ACEEE) has issued their Fourth National Review of Exemplary Energy Efficiency Programs, which profiles model energy efficiency programs across the country. Programs were selected based on their innovation and effectiveness in helping customers increase energy efficiency in their homes and businesses. 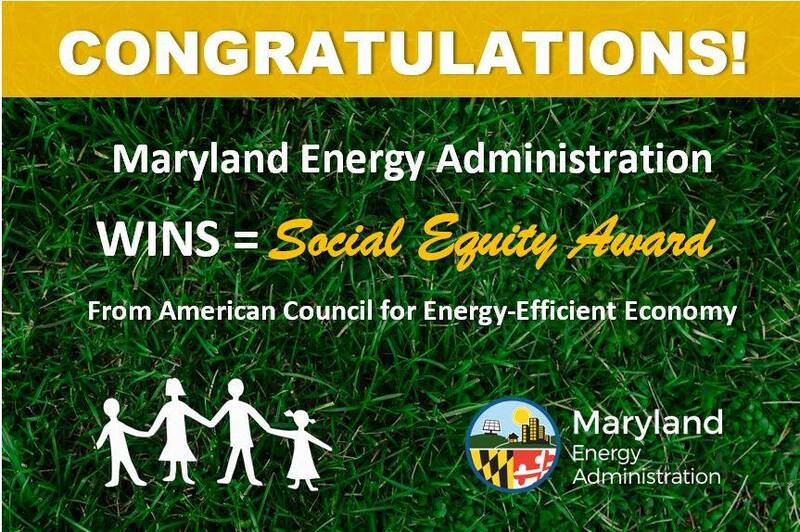 Maryland has received the Social Equity Award. 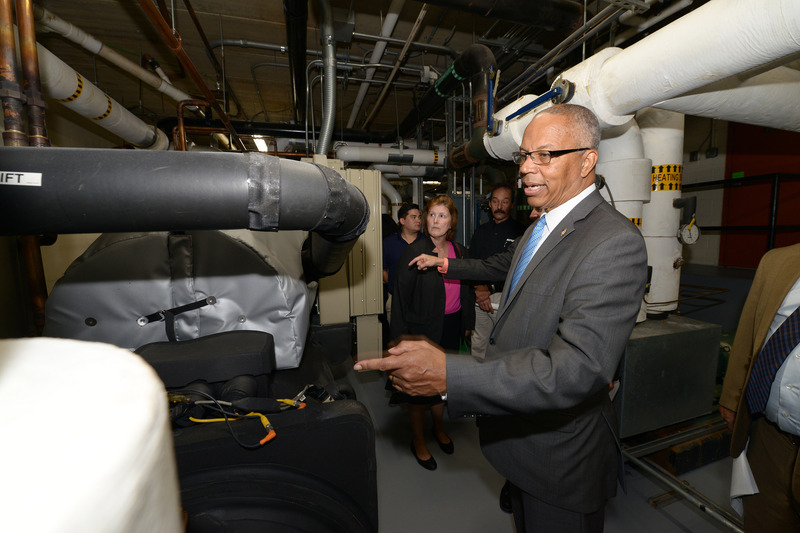 The majority of LMI grant funded projects consist of whole-building upgrades where a Building Performance Institute (BPI) audit qualifies energy efficiency measures that result in an estimated simple payback of 10 years or less. For buildings on a commercial meter, the audit needs to qualify for energy efficiency measures that have an estimated simple payback of 15 years or less. The MEA LMI Program creates local jobs, serves the entire state of Maryland, leverages additional funding sources, and has helped to grow the network of nonprofit and local government providers of assistance to the LMI populace. Equally important, the LMI program generates cost-effective energy savings and fosters healthier and safer living spaces. The program accomplishes these outcomes in a highly scalable format in which MEA staff actively direct and implement the program. 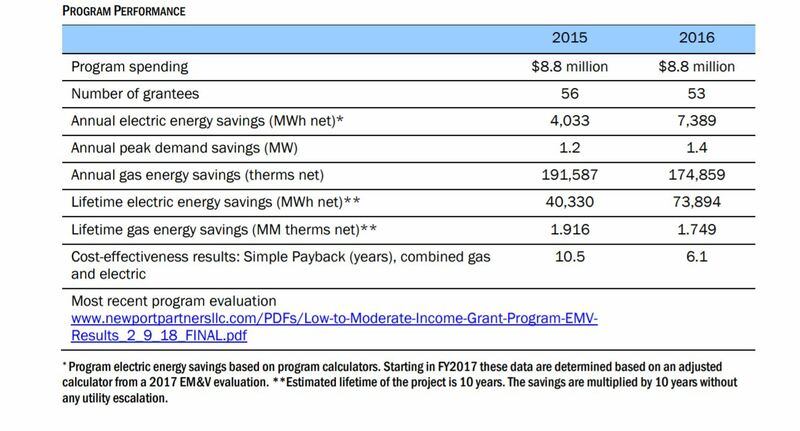 By weighing savings and allowing any form of energy savings, LMI can implement many measures that would not be eligible for other programs. Staff from Civic Works with MEA Program Manager David Giusti. Civic Works has been able to perform 269 energy audits and upgrade 714 homes with their 2017 MEA LMI grant program funds. To read more about this grant click here. Energy reductions exceeding 20 percent can be achieved cost effectively in many buildings. The MEA LMI program has realized cost-effective savings from additional measures that other programs do not permit. Serving multiple types of buildings (existing residential, new residential, and commercial buildings) expands the range of possible project types and increases energy savings. To read the full report click here. MEA LMI Program Manager, David Giusti, will share the program’s successes and lessons learned at the Home Performance Coalition Northwest Regional Conference in Portland, OR February 11 – 12. Giusti will speak on a panel focusing on program equity which has become a major concern for utility programs. The panel discussion will discuss successful efforts at reaching underserved markets and help attendees reach program parity.